The Tirthan valley is the main gateway to the Great Himalayan National Park (GHNP). Actually, without the national park, the secluded valley would have probably remained unknown. The name of the valley comes from the Tirthan River that flows from Tirth, its origins located in the GHNP, and ends at Larji in the Beas river. Compared to other destination in Himachal, the valley is still well preserved and offers the perfect environment for those who are looking for a peaceful holiday. The region is dotted with Himalayan villages. You will be fascinated by the quaint aspect of the traditional architecture. The welcoming atmosphere in the villages and the good mood of people will leave your mind with a lot of sweet memories. 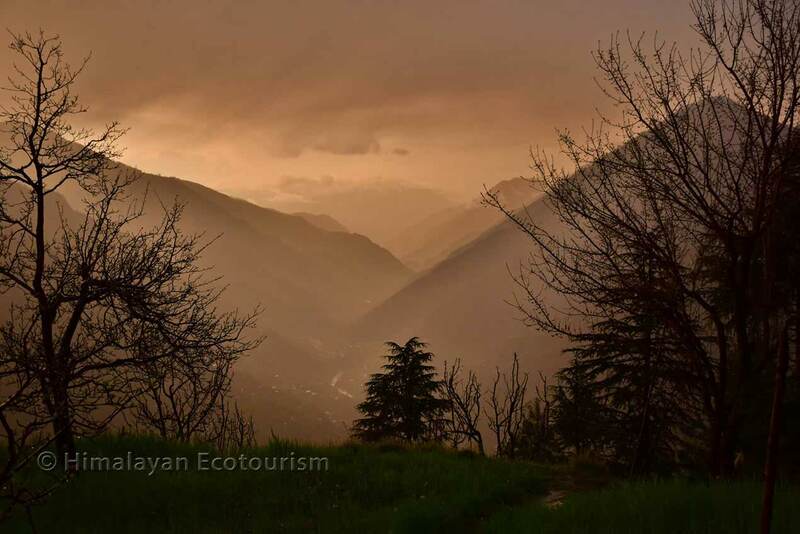 The Tirthan valley has plenty of hidden gems and so, it will allow you to enjoy various activities such as relaxation, day hikes, multi day treks or trout angling. 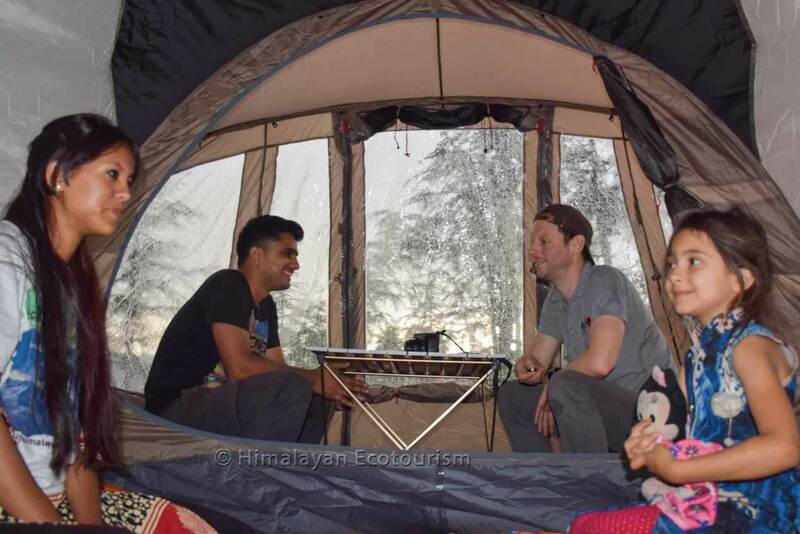 One of the favorite experience of our visitors is camping in the wild. Without having to trek, this allow you to enjooy the Himalayn wilderness and fall asleep under the stars. 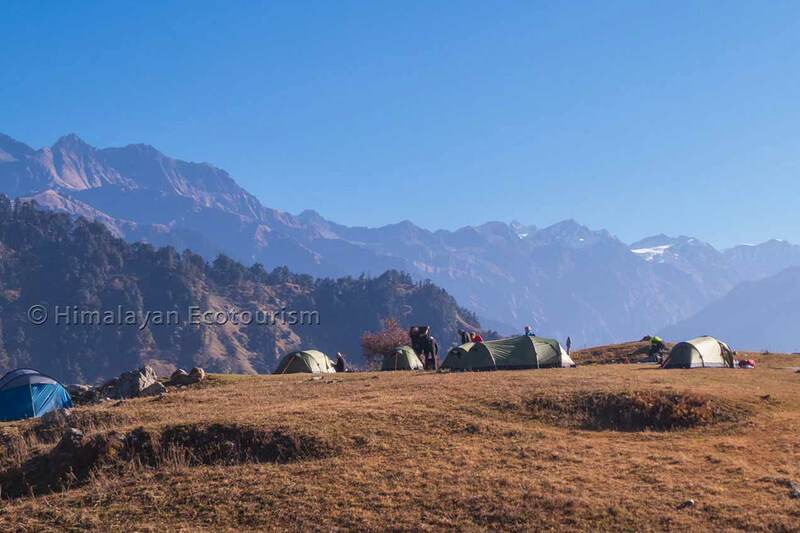 Another great activity : the easy hikes from Jalori pass that give you amazing views of the Himalayan range. 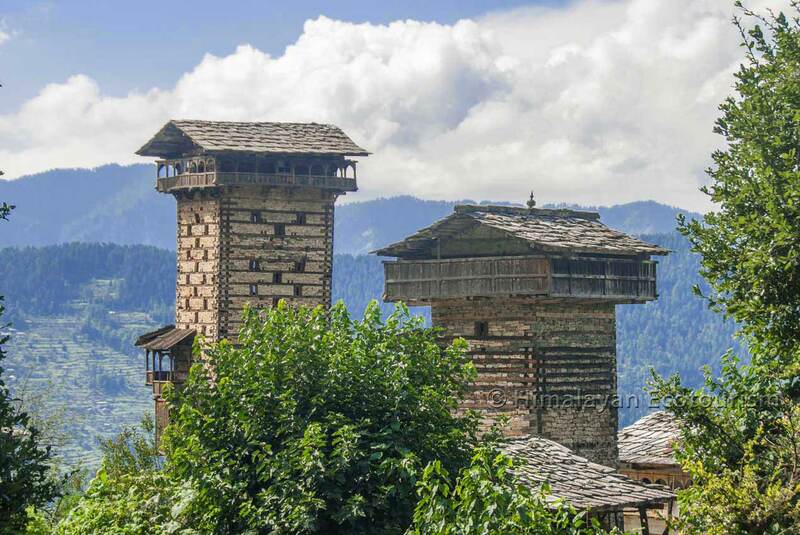 As a fragile gem of Himachal Pradesh, the Tirthan valley may be threatened by mass tourism. 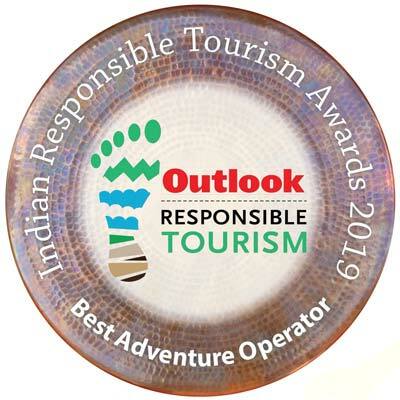 In order to conserve the area, Himalayan Ecotourism promotes a more responsible tourism and offers activities that respect the environment with a professional team always ready to help you. When was the last time you have seen a pure, clean, even drinkable river ? 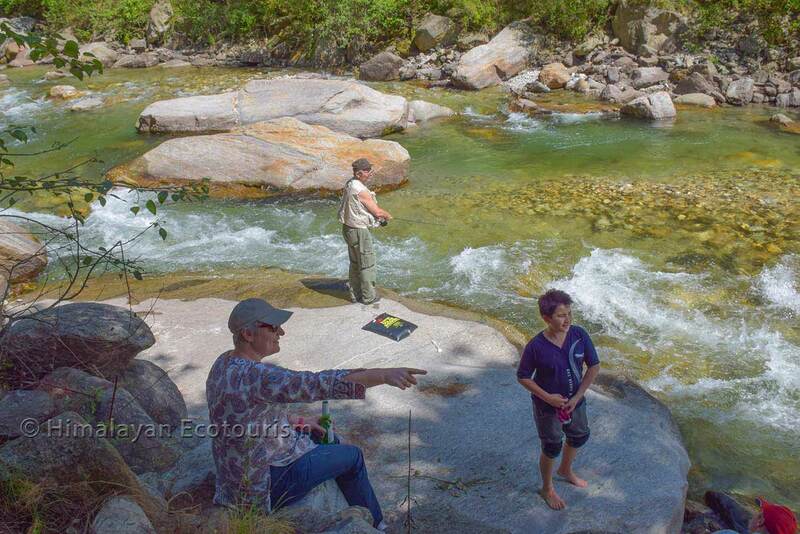 Catch a fish during your camping in the wild. We will BBQ it in the evening ! 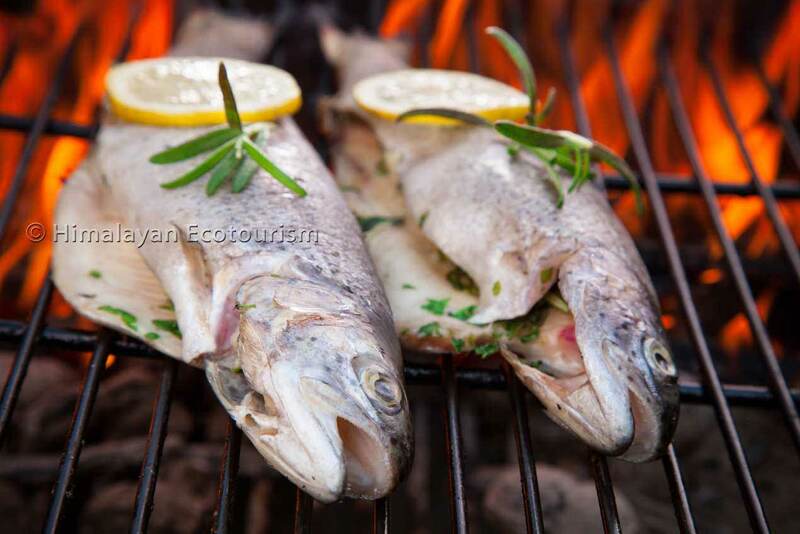 A local delicacy that you should not miss ! After a storm. Photo taken from a unique homestay. See the main roads and trekking trails in the valley. 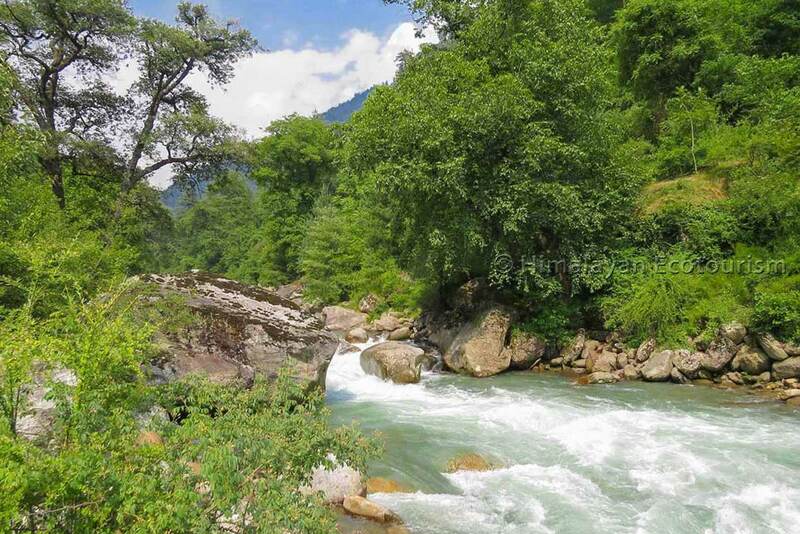 Best time to visit Tirthan valley is March, April, May, June, and then October, November and December. Avoid the monsoon between July and August as it rains a lot and the paths become slippery and there are chances of landslides. You could come in the winter months of January to March to enjoy snowfall. The Tirthan valley is just 1 hour off the main Delhi-Kullu-Manali road. There are regular overnight Volvo buses from Delhi and Chandigarh to Kullu and Manali. Take one of these. Inform the conductor of the bus that you need to be dropped at Aut town just after the only tunnel on the way. We can arrange a taxi to pick you up from Aut from where it takes an hour to reach the heart of the Tirthan valley. 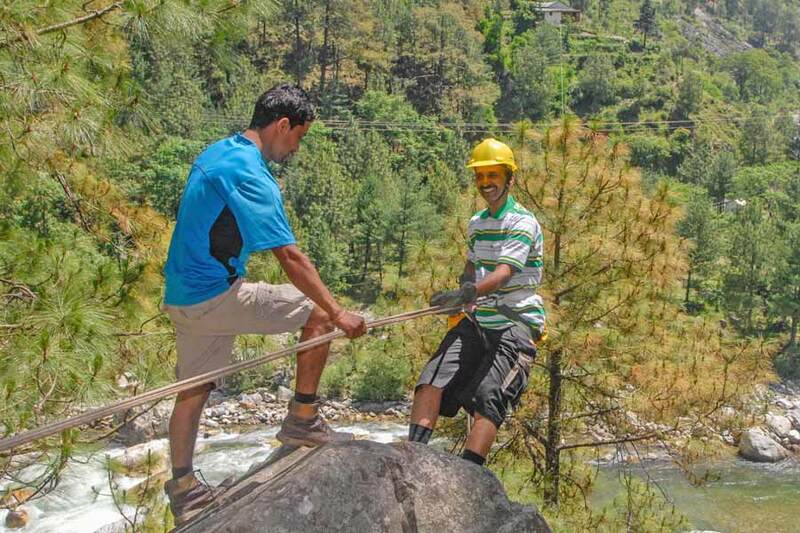 Check the next section for more information about getting to the Tirthan valley. Going by bus is a good option to travel from Delhi to the Tirthan valley. There are comfortable Volvo buses (min Rs 1000) from Delhi to Manali. Most of the busses start in the evening from Delhi. You have to get off the bus at Aut early morning, and take a taxi (about Rs 1000) or local bus to Banjar or Sainj. Or we can arrange your transportation from Aut by sending our own taxi. You can also come from Shimla going through Jalori pass (Shimla - Banjar, 7 hours drive). Be aware that Jalori pass is closed in winter because of snow (December to March). If you come with your own vehicle, the shortest route goes through Chandigarh, Bilaspur, Mandi and Aut. Then you need to move to Banjar (Delhi - Banjar, 11 hours). The road to the Tirthan valley diverts before reaching Aut. Just before Aut, there is a tunnel (the only tunnel on the road from Delhi). Do not enter the tunnel. Just at the entrance of the tunnel there is a smaller road on the right. Take this one. After crossing a dam and then a bridge, either you continue straight to Sainj (for Sainj valley), or if you need to go to Banjar (for Tirthan valley), you need to cross the next bridge on your right to reach the small town of Larji. Turn right after the bridge and continue straight to Banjar (about 20 km from Larji). 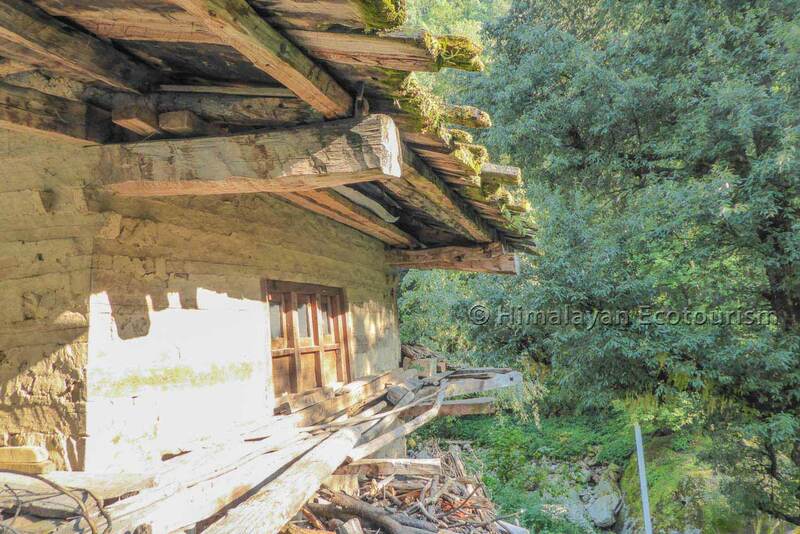 There are different types of accommodation in the Tirthan Valley. We can arrange hotels or homestays for you depending on your preference and budget. 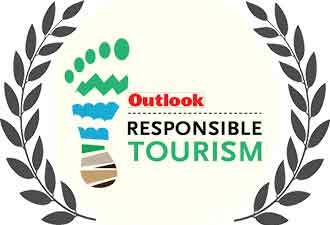 There is also a government managed quite basic tourist complex in Sai Ropa in the Tirthan valley. 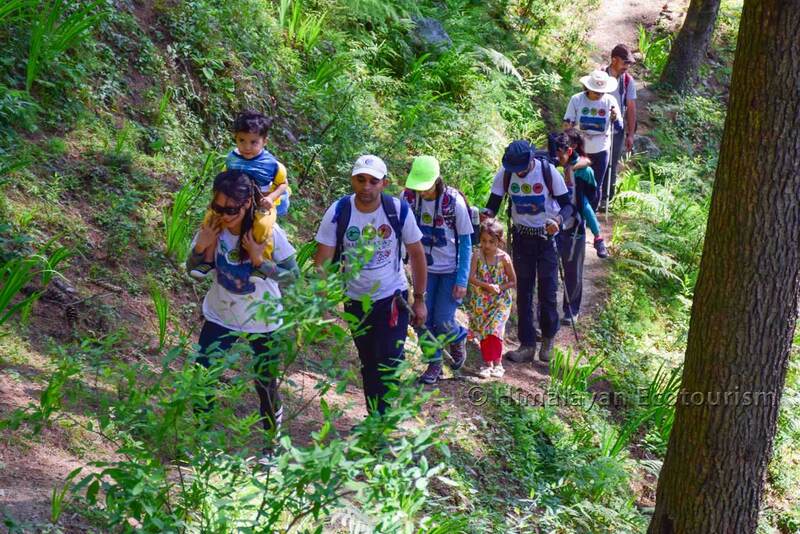 It is about 15 minutes from the start of treks in the Great Himalayan National Park at Gushaini. Bookings can be arranged. However, there are other more convenient homestays and guest houses in the Tirthan valley. See accommodation in the Great Himalayan National Park for detailed information about accommodation. Guest houses and homestays are available in the Tirthan valley. Please enquire for checking with us the best options. Or click here for much more things to do.